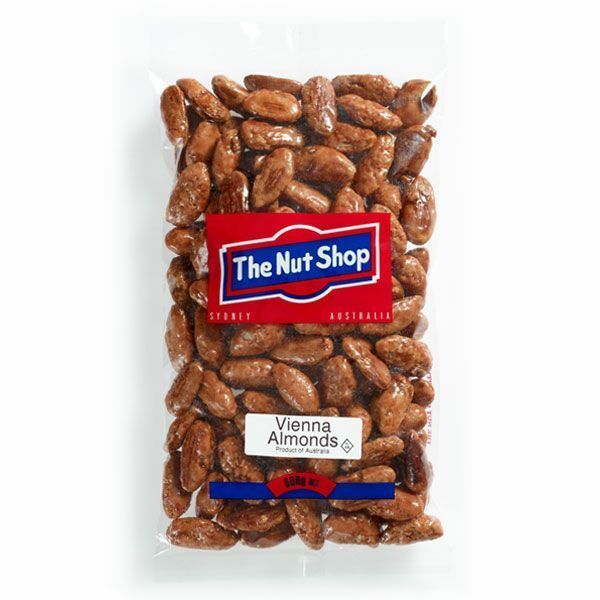 The Nut Shop's signature product, caramelised Almonds with a hint of vanilla, made using the same methods since 1939. 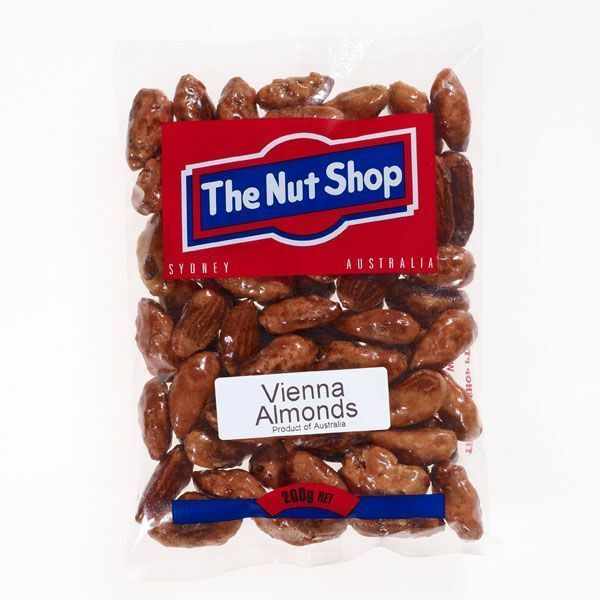 All of our Almonds come from South Australia. 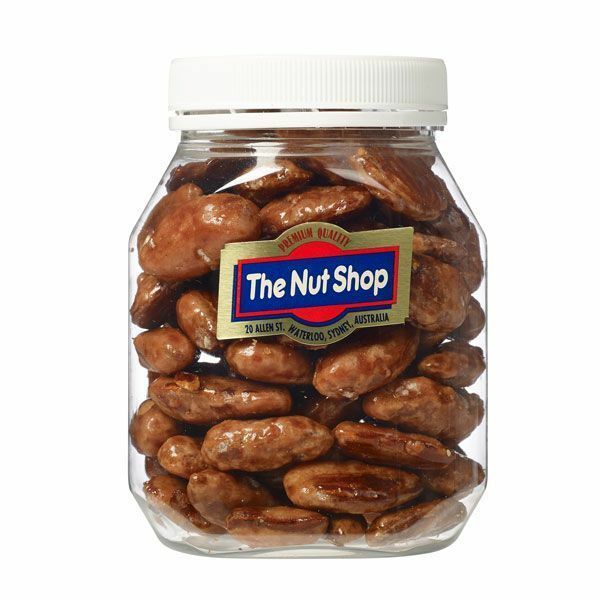 Store in an airtight container out of direct sunlight to maintain freshness. Product of Australia. 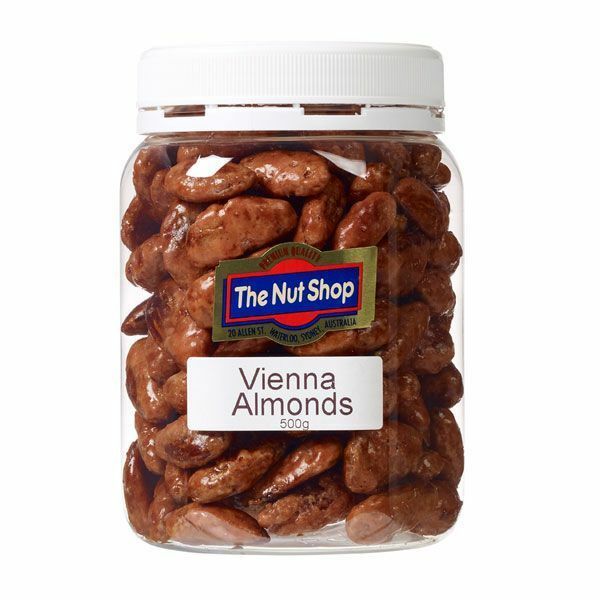 Vienna Almonds are also sold in a jar (250g / 460g sizes available), or the Nut Shop bags (200g/ 500g sizes). 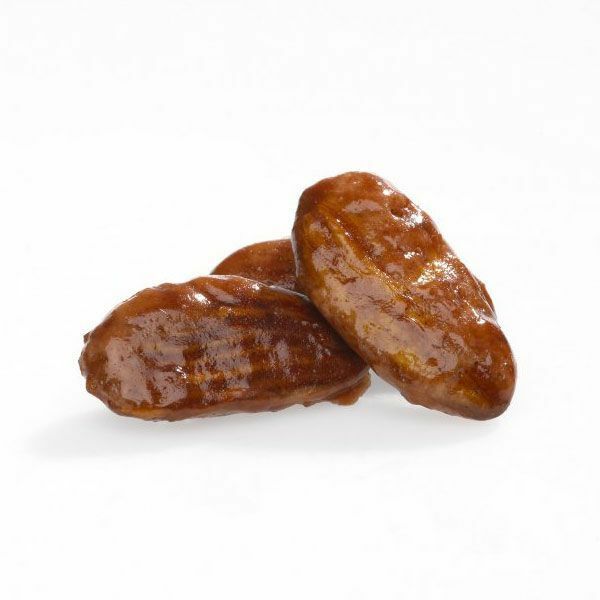 Kosher and suitable for vegans. Gluten Free.